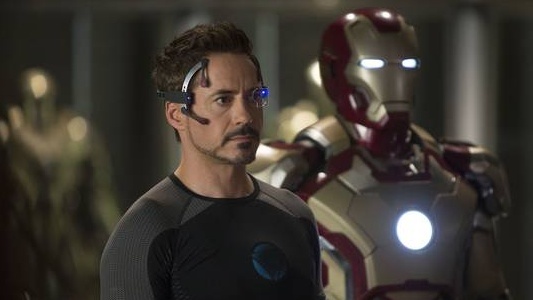 The future of the Marvel Cinematic Universe was in Robert Downey Jr.‘s hands. His contract to appear as Tony Stark/Iron Man ended after Iron Man 3, In the few weeks after the film’s was release in early May, the actor entered talks with Disney to renegotiate his contract. But there were some wondering what would happen to the world that Marvel created if he did leave. So for all of those who were worried that Downey Jr. would not be back, you can breathe a sigh of relief, as a press release from Marvel confirms that the actor has signed a two-picture deal to reprise his role as the iconic character in The Avengers 2 and The Avengers 3. Marvel Studios’ President Kevin Feige stated the obvious that Downey Jr. would one day not reprise his role, and when that does happen the character would be recast James Bond-style. But even if that were to happen, The Avengers director Joss Whedon said that the script had Iron Man in it, and he could not imagine making another Avengers film without the original actor who played him. Then there was talks about how much money Disney/Marvel would need to woo Downey Jr. back to playing the character – the actor has said that he was paid upwards of $50 million just to reprise his role in The Avengers. The two picture deal includes The Avengers 2 and The Avengers 3, but there is no mention of Iron Man 4 being a part of that deal. And because the press release says it is a two-picture deal, we should assume that there will be no Iron Man 4, and that he will not make any appearances (cameo or otherwise) in any of the other films other than The Avengers. Since the actor was quite frank with what he was paid in The Avengers, we should assume that Disney/Marvel is also in negotiations with the remaining cast such as Chris Evans, Chris Hemsworth, Scarlett Johansson, Jeremy Renner, and Mark Ruffalo.